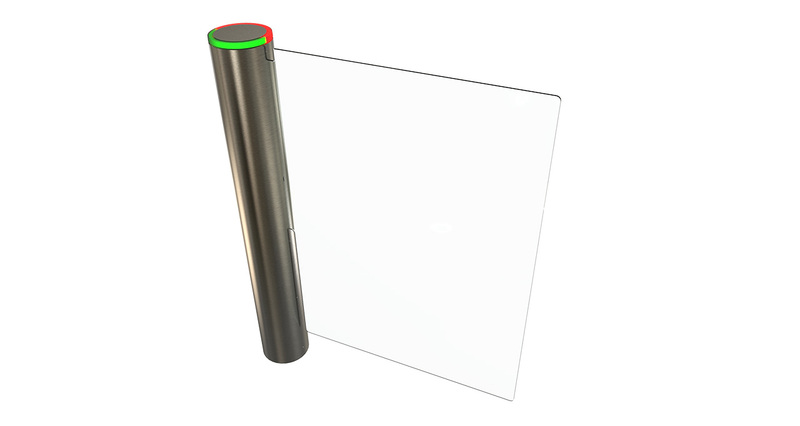 A true turn-key solution, the AccessLane swing glass barrier complements any facility that requires wide access in order to accommodate the mobility-impaired, deliveries or bulky objects. A modest and modern look provides a low impact access control solution for any architectural environment. With it’s higher glass obstacles, this unit helps dissuade fraudulent entry attempts. With a low-key, modern and aesthetic design, the AccessLane glass swing barrier provides efficient dissuasive security while easily blending into any environment.